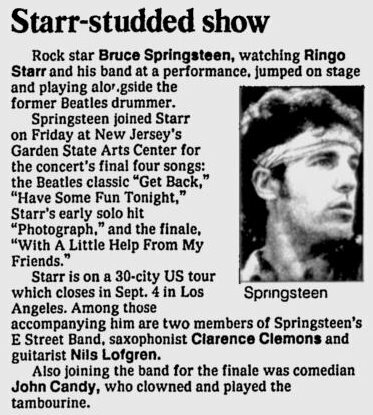 This was among the songs that Springsteen Bruce performed with Ringo Starr and his All Starr Band on 11 Aug 1989 at the Garden State Arts Center, Holmdel, NJ. Both Nils Lofgren and Clarence Clemons also attended the show. Actor John Candy also joins in for the final encore, playing tambourine. 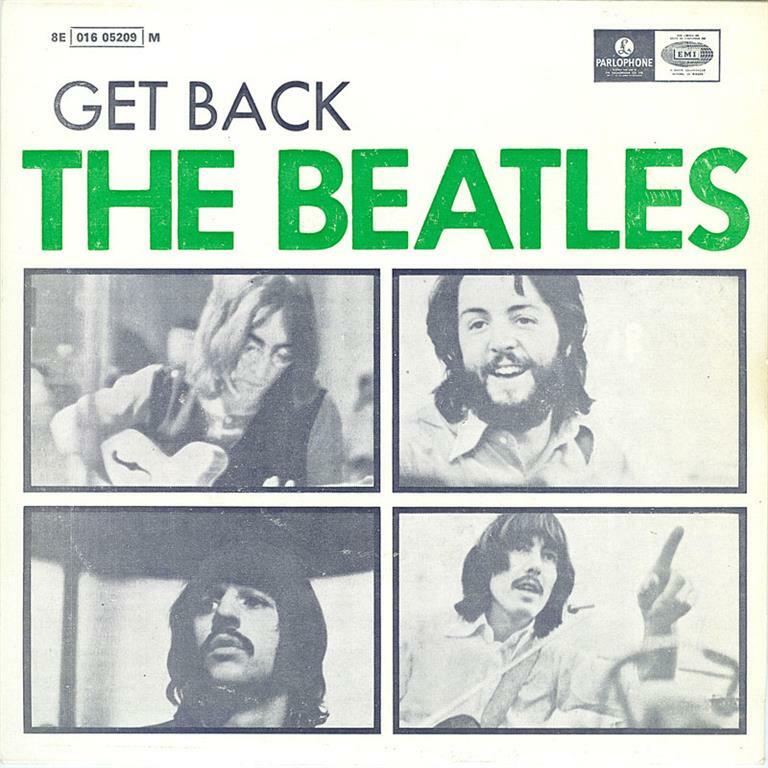 "Get Back" is a song recorded by the Beatles and written by Paul McCartney (though credited to Lennon-McCartney), originally released as a single on 11 April 1969 and credited to "The Beatles with Billy Preston. A different mix of the song later became the closing track of Let It Be (1970), which was the Beatles' last album released just after the group split. The single version was later issued on the compilation albums 1967–1970, 20 Greatest Hits. Billy Preston , who played electric piano on the original version, did a cover for the 1978 film Sgt. Pepper's Lonely Hearts Club Band.
" The Beatles were cool. They were classical, formal, and created the idea of an independent unit where everything could come out of your garage. The "Meet the Beatles" album cover, those four head shots. I remember, I seen 'em at J. J. Newberry's. It was the first thing I saw when you ran down to the five–and–ten cent store. There were no record stores. There weren't enough records, I don't think, in those days. There was a little set by the toys where they sold a few albums. And I remember running in and seeing that album cover with those four headshots. It was like the silent gods of Olympus. Your future was just sort of staring you in the face. I remember thinking, "That's too cool. I'm never gonna get there, man, never." And then in some fanzine I came across a picture of the Beatles in Hamburg. And they had on the leather jackets and the slick–backed pompadours, they had acned faces. I said, hey, "Wait a minute, those are the guys I grew up with, only they were Liverpool wharf rats." So minus their Nehru jackets and the haircuts – so these guys, they're kids. They're a lot cooler than me, but they're still kids. There must be a way to get there from here. "